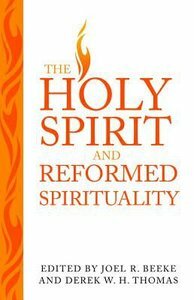 About "The Holy Spirit and Reformed Spirituality: A Tribute to Geoffrey Thomas"
Dr. Joel R. Beeke (Ph.D., Westminster Theological Seminary) is president and professor of systematic theology and homiletics at Puritan Reformed Theological Seminary, and a pastor of the Heritage Netherlands Reformed Congregation in Grand Rapids, Michigan. He has written or edited fifty books, and contributed hundreds of articles to Reformed books, journals, periodicals, and encyclopedias. He is frequently called upon to lecture at seminaries and to speak at Reformed conferences around the world. Dr. Derek W. H. Thomas (Ph.D., University of Wales) is John Richards Professor of Practical and Systematic Theology at Reformed Theological Seminary. Originally from Wales, Derek Thomas is the John E. Richards Professor of Systematic and Practical Theology at the Jackson campus of RTS. After pastoring for 17 years in Belfast, Northern Ireland, Dr. Thomas returned to the USA in 1996 where, in addition to his work at the seminary, he serves as the Minister of Teaching at First Presbyterian Church in Jackson. He has written or edited 15 books and has contributed to commentary series by Banner of Truth and Evangelical Press, including Let's Study Galatians; God Delivers: Isaiah Simply Explained; God Strengthens: Ezekiel Simply Explained and Calvin's Teaching on Job. He also co-edited Give Praise to God: A Vision for Reforming Worship (P and R) with Philip Ryken and Ligon Duncan.